hi there! here's a couple of new matte-paintings i made. first, called "souther glow", represents early morning in the mountains. i tried to make this picture atmospheric and moody with foggy bottom forest and clean air mountains. 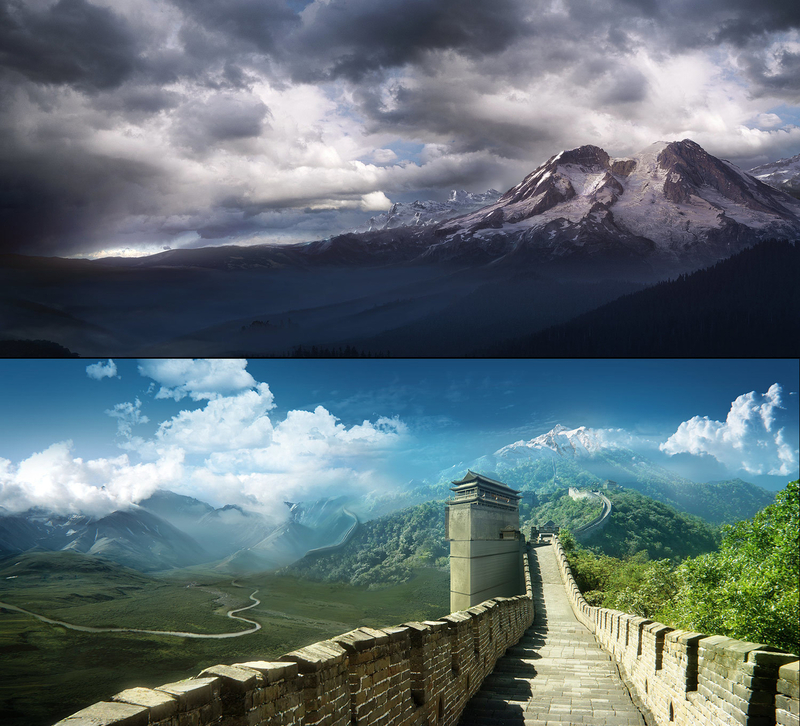 second picture called "the Wall", is about the great chinese wall also "shot" in a morning. this picture was created of 6 reference photos and i had a lot of digital overpainting.